First Baptist Jackson constantly seeks ways to apply visionary and creative tools and techniques to extend the reach of the Gospel. In 1954, First Baptist Jackson broadcast the first televised service from our Sanctuary. The “make it happen” culture of the media team was officially established since to accomplish this broadcast, the cameras were connected to an external truck via cables hanging from the windows. From that initial broadcast more than sixty years ago, a unique media and technical culture emerged. 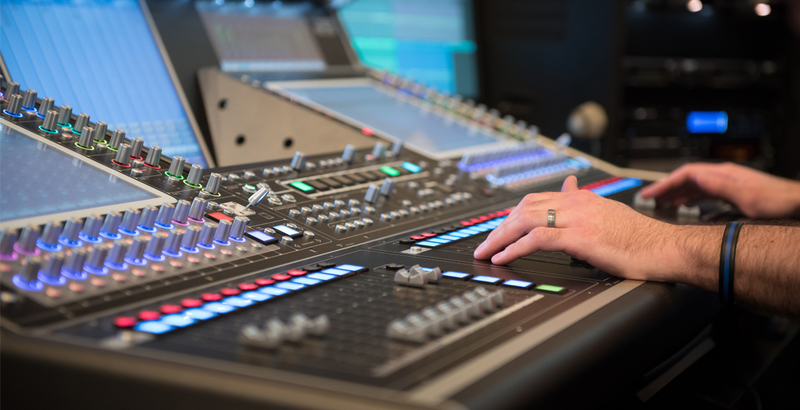 Today, a highly committed team of audio and lighting engineers, camera operators, and stage managers is committed to doing whatever it takes to produce worship services, special events, and recordings, as well as supporting the groups meeting regularly within our facilities. The goal is to ensure that the essential Gospel message is communicated throughout the world. If you are interested in joining the Media Team, please complete the Volunteer Interest form. Please select all areas you are interested in.